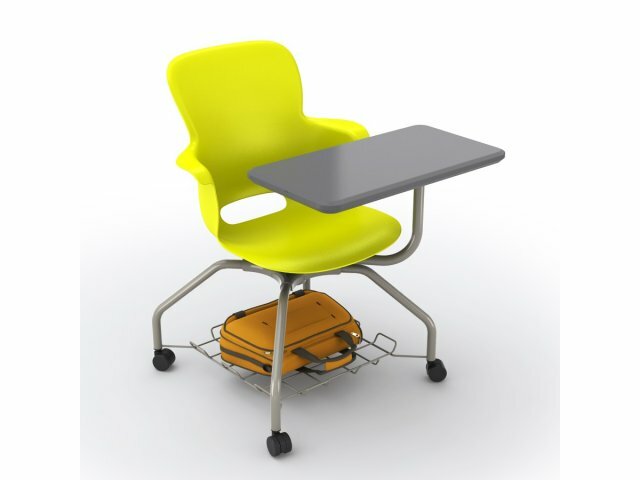 The ample tablet work surface on this mobile school chair can swivel from side to side to accommodate both right and left handed users. 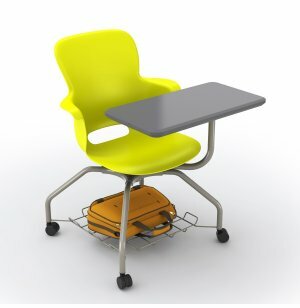 The built-in storage underneath the chair provides a perfect space to store a backpack. Accessible Storage: Metal storage base provides generous access to backpacks and other supplies.